Imagine the perfect interview. The luminaries interviewed include writers, thinkers and people determined to make the world a better place and how to tell the truth of their lives and access creativity. That's the basis of The Tiferet Talk Interviews, a fascinating collection of twelve interviews transcribed from the famous Tiferet Talk Radio Show, conducted by award-winning bestselling author and host Melissa Studdard, with a forward by Donna Baier Stein, the publisher of the Tiferet Journal. Included in the book are interviews with Julia Cameron, Edward Hirsch, Floyd Skloot, Robert Pinsky, Bernie Siegel, Lois P. Jones, Anthony Lawlor, Jeffrey Davis, Robin Rice, Marc Allen, Jude Rittenhouse, and Arielle Ford. And I'm honored to report that I will be interviewed for a Tiferet Talk in the coming year. Donna Baier Stein's poetry and prose have appeared in Virginia Quarterly Review, Kansas Quarterly, Prairie Schooner, Washingtonian, and many other journals and anthologies. Her story collection Great Drawing Board of the Sky was a Finalist in the Iowa Fiction Awards; her novel Fortune received the PEN/New England Discovery Award and is now represented by William Morris Endeavor. Donna was a founding editor of Bellevue Literary Review, and currently is the Editor and Publisher of Tiferet: A Journal of Spiritual Literature. 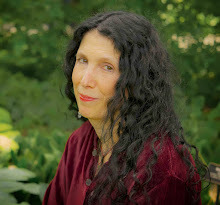 Her awards include a Scholarship from Bread Loaf Writers Conference, two awards from the Poetry Societies of Virginia and New Hampshire, a Fellowship from Johns Hopkins University, a fellowship from the New Jersey Council on the Arts, and individual fiction and poetry prizes from various journals and anthologies. .Melissa Studdard is the author of Six Weeks to Yehidah which won the Forward National Literature Award The Pinnacle Book Achievement Award, The International Book award and January Magazine's Best Children's Book awards Finalist for National Indie Excellence Awards and the readers favorite awards. Melissa is currently completing her first poetry collection, I Ate the Cosmos for Breakfast. 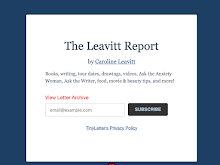 Her poetry, fiction, essays , reviews and articles have appeared in dozens of journals including Boulevard, Connecticut Review and Poets and Writers. She also serves as a reviewer for The National Poetry Review and she is an editorial advisor for Lapis Lazuli Journal of the Harold Pinter Society of India and The Criterion. 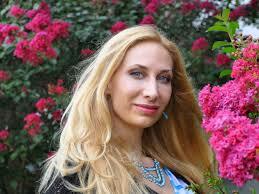 She's a contributing editor for the Tiferet Journal, and the host of Tiferet's famed radio program, Tiferet Talk. She is also a professor for the Lone Star College System and a teaching artist for the Rooster Moans Poetry Cooperative. Thank you so much, Melissa and Donna for being here. First, Donna, tell us about how Tiferet came to be. I started Tiferet when I was studying Integrated Kabbalistic Healing (IKH).That's when I first learned the Hebrew word tiferet and fell in love with it. Tiferet is one of ten sefirot on the Tree of Life. Sefirot are thought to be characteristics of, or portals to, God. Tiferet is the place on the Tree where the spiritual and physical realms meet. It corresponds to the heart, compassion, and reconciliation of opposites, and is, in my opinion, the state from which true creativity arises. Melissa, how did you come to be involved with Tiferet? A few years ago, while on vacation in Colorado, I found a copy of Tiferet at a magazine stand and read it cover to cover. I was thrilled because I’d been writing spiritual poetry and wasn’t sure quite where to place it. When I got home, I submitted some poems, and they were accepted. After that, because I liked the Tiferet community so much, I began to form a relationship with the journal and the staff, especially Donna. Eventually, Donna asked me if I wanted to join the staff, and I enthusiastically accepted. Why did you see a need for it, and how did you fill that need? Because I grew up with a Jewish Dad and Christian Mom, and had certainly experienced my own back-and-forth ambivalence about issues, I found this concept wonderful. To me, reconciliation of opposites is absolutely essential in today's increasingly divisive world. Part of our individual healings in IKH involved accepting opposites within ourselves. That kind of healing also has to happen in communities, governments, nations, the world. It's recognizing that what looks like "the other" - whether it is a black teenager in a hoodie or a Muslim woman in a hijab, a Wall Street billionaire or unemployed autoworker, a Democrat or a Republican - "the other" is not something to fear or hate. I recognize that this is a big task, for all of us, at times. But it's a goal and it's one Tiferet Journal works toward. It also fascinates me that traditional religions stand on so much common ground. The Golden Rule, for instance, is key to all the major religions in the world. I put a quote on our website from Ralph Waldo Emerson: "God enters by a private door into each individual." I firmly believe this. I believe in cultural pluralism. I also believe in the importance of writing and creativity, both for individuals and cultures. It's no accident that so many world religions place great emphasis on "the word." "In the beginning was the Word," says John 1:1 in the New Testament. In Hebrew and Sanskrit, letters themselves have special powers. The first sermon in Islam begins with the word, "Recite!" So the original mission of Tiferet Journal was to help reveal spirit, in all its manifestations, through the written word. To that end, we publish writing from authors of many faiths, even non-traditional ones. An early essay was entitled "My Faith in Graffiti." What do all these voices, intent on making the world be a better place, have in common in terms of the way they think or work, Donna? I think most of our authors attempt to make the world a better place through their own writing. Some of them have active spiritual practices; others don't. Finding out about their own beliefs and creative practices is one of the best parts of our Tiferet Talk Radio Show hosted by Melissa Studdard. I've always been interested in exploring where creativity comes from. Personally I think that, if we are lucky and dedicated, we can be conduits for something greater. Melissa, can you weigh in? It’s like a potluck party. Our contributors have all arrived with different dishes. Some have come by train, some by car, and some have rowed over lakes and moats. They’ve travelled from as far as the other side of the globe and as near as next door. But they’ve all come to the same party, and that party is about connection and the search for meaning. Placing all these dishes on the table together, we see that truth is plural, not singular, and that while each dish tastes good alone, together they make a meal that can nourish us more fully. As a follow-up question, I wanted to point out that you're no stranger to pushing the boundaries of what writing can do. Donna, you're a founding editor of Bellevue Literary Review, which seeks to explore the narratives of illness, doctors and patients in a way that's never been done before. Would you say Tiferet was a natural progression? Definitely! I had so much fun helping to launch Bellevue Literary Review. I also felt a need to bring in the non-physical and thought it might be fun to have a literary journal focused on literature and spirituality as well as one on literature and medicine. So I started the Tiferet publishing project, naively forgetting that I didn't have the BLR's financial and staffing backing of New York University! What do you think makes a great interview, Melissa? What's been surprising about these interviews for you? Without question, openness. If the interviewee is open and receptive to the questions, nothing can go wrong that can’t be fixed. In the beginning, the interview is almost like a first date—the interviewer must make it clear to the interviewee that he or she will be treated with respect and that the situation is safe. Sometimes it takes awhile—even up to the first third of the interview—but once that has been established, the interview will be great. What’s surprised me most is that the spontaneous parts are consistently the best parts. Of course, research and knowing the subject are integral to the process, but once that research has been done, the interviewer has to be able to step back and gently guide the conversation, rather than trying to force it. It took me a while to learn how important this is. What I love so much about these interviews is how they are really conversations and we get to learn something about Melissa as well as the person interviewed. So how do you prepare for an interview? And can you talk about any interviews that surprised you or did not turn out the way you thought they might? There have been many, many surprises during interviews. The biggest one actually has nothing to do with content. It was when the sound on my phone quit working and I had to scramble around for several minutes to find a headset I never used. Thankfully, it was charged, and when I got back on the call, the person was still talking. Still talking! Can you believe it? It was seamless. I listened to the interview later, with my heart in my throat, to make sure I hadn’t asked any questions that had already been answered while I was searching for the headset, and I hadn’t. I still can’t believe my luck! I'm proofing my story collection which will come out later this year and am back at work on revising my novel (which you helped me with you so much through your UCLA class and private critique). Each day I face my own task of balancing my own writing work with the work involved in publishing and financing Tiferet. So finding the best ways to do that is my current obsession! I recently said in another interview that I’m obsessed with writing the way teenage girls are obsessed with make up and teenage boys are obsessed with teenage girls. I don’t think that will ever change. Like Donna, I have a lot of other obligations all the time, so the drive to write has to be intense, or the writing will not get done. How about "What would you like people to do?" I think my answer to that first, is to be aware of their own prejudices (and we all have them.) Second, to foster their own creativity and seek the sacred wherever they find it. And third, to subscribe to our journal and purchase our wonderful new book Tiferet Talk Interviews at www.tiferetjournal.com. Nothing. I’m happy with the interview and appreciate you hosting us at your site!